Being an international red-carpet favorite, designer Zuhair Murad has certainly mastered the art of creating gorgeous gowns with major “look at me” factor. Zuhair Murad’s Spring 2016 bridal collection is a romantic, lace-drenched extension of his Spring Couture collection and that, our soon-to-be-married friends, is a very good thing. The latter collection featured a variety of capes, which in this bridal collection, makes its appearance as a Watteau option for Petra, a beautiful strapless sheath. 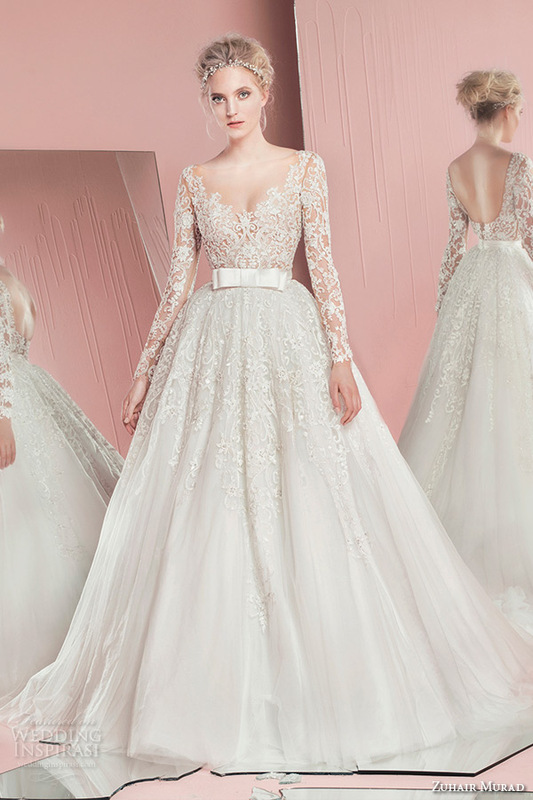 A handful of gowns comes with an overskirt option, something that we loved so much in his Fall 2015 bridal season. These gowns are so dramatic in a regally elegant manner, you just can’t help but fall in love with them.